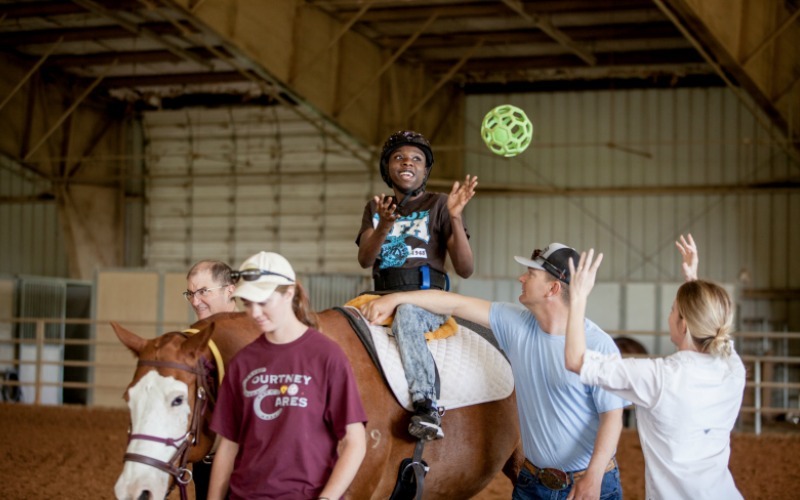 In 2011, ROCK was contacted by the Texas A&M System as directed by the Board of Regents, to assist TAMUS to start an equine-assisted activities and therapy center. The decision to start an EAAT center resulted from a donation to TAMUS in memory of Courtney Grimshaw Fowler (Class of 85). Courtney was an avid equestrian and businesswoman on the international level. When she died in 2010, her family wanted to establish a living, breathing legacy at her beloved Texas A&M. Thus, the program “Courtney Cares” was established. The TAMUS Courtney Grimshaw Fowler Equine Therapeutic Program, “Courtney Cares,” began serving children, adults and veterans in 2012, and is staffed and managed by ROCK. The horses are leased from the Texas A&M Corps of Cadets Parsons Mounted Cavalry, led by Bob Byrns, a PATH Intl. Instructor. At any given time, Courtney Cares partners with 12 to 20 horses out of the 69 horses and mules in the Cavalry unit. In 2016, Courtney Cares became a Premier Accredited PATH Intl. program. The core values of Courtney Cares are safety, education, service, and research. 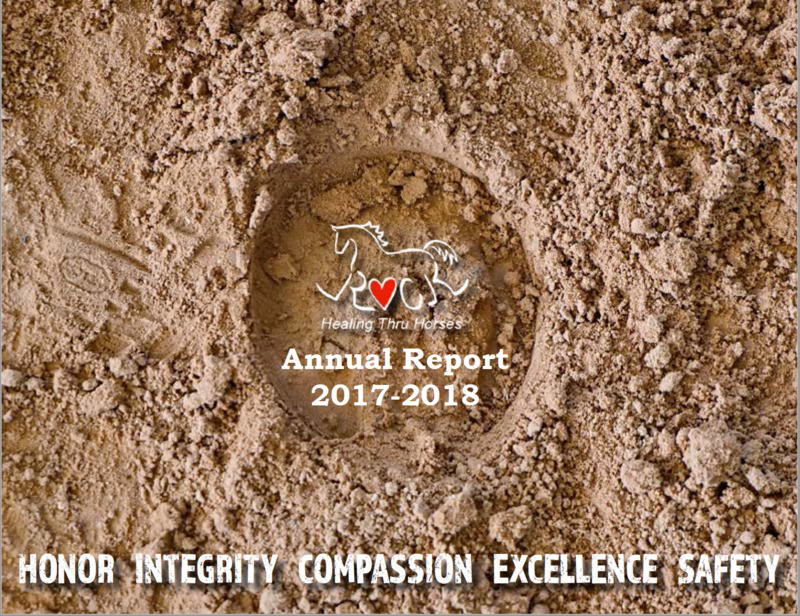 This program cultivates future leaders and supporters of Equine-Assisted Activities and Therapies through education and service learning opportunities, and encourages research in this industry. Learn more at CourtneyCares.org.